1996 MCI 102-DL3 Unit Number: 48104 Seating Capacity: 54 Engine: DDC Series 60 12.7L Transmission: Allison B-500 Please call to verify specifics and for all other questions. 1998 MCI 102-DL3 Unit Number: 50191 Seating Capacity: 55 Engine: DDC Series 60 12.7L Transmission: Allison B-500R Please call to verify specifics and for all other questions. 1998 MCI 102-DL3 Unit Number: 50514 Seating Capacity: 51 Engine: Cummins M-11 Transmission: Allison B-500R Please call to verify specifics and for all other questions. 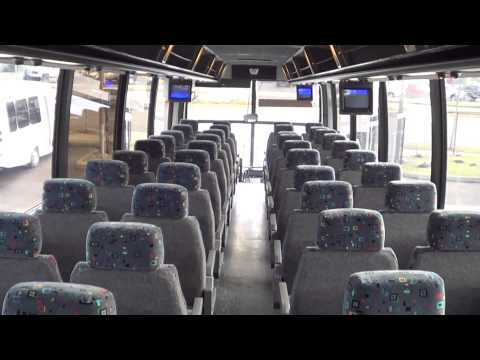 2000 MCI 102-DL3 Unit Number: 52998 Seating Capacity: 43 Engine: DDC Series 60 12.7L Transmission: Allison B-500 Please call to verify specifics and for all other questions. 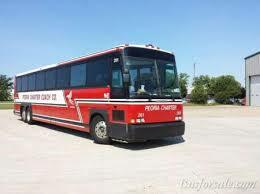 2000 MCI 102-DL3 Unit Number: 52999 Seating Capacity: 53 Engine: DDC Series 60 12.7L - 435HP Transmission: Allison B-500 Please call to verify specifics and for all other questions. 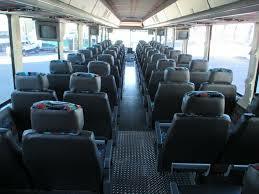 2000 MCI 102-DL3 Unit Number: 52997 Seating Capacity: 49 Engine: DDC Series 60 12.7L Transmission: Allison B-500 Please call to verify specifics and for all other questions. 1998 MCI 102-DL3 Unit Number: 51069 Seating Capacity: 55 Engine: DDC Series 60 12.7L Transmission: Allison B-500 Please call to verify specifics and for all other questions. 1998 MCI 102-DL3 Unit Number: 51107 Seating Capacity: 55 Engine: DDC Series 60 12.7L Transmission: Allison B-500 Please call to verify specifics and for all other questions.